The “Parksville 2019 Symposium” is an outreach and professional development event, held under the umbrella of the Georgia Basin Inter-Regional Education Initiative, and is designed to foster a conversation in communities along the east coast of Vancouver Island and in the Metro Vancouver region about “Sustainable Watershed Systems, through Asset Management”. 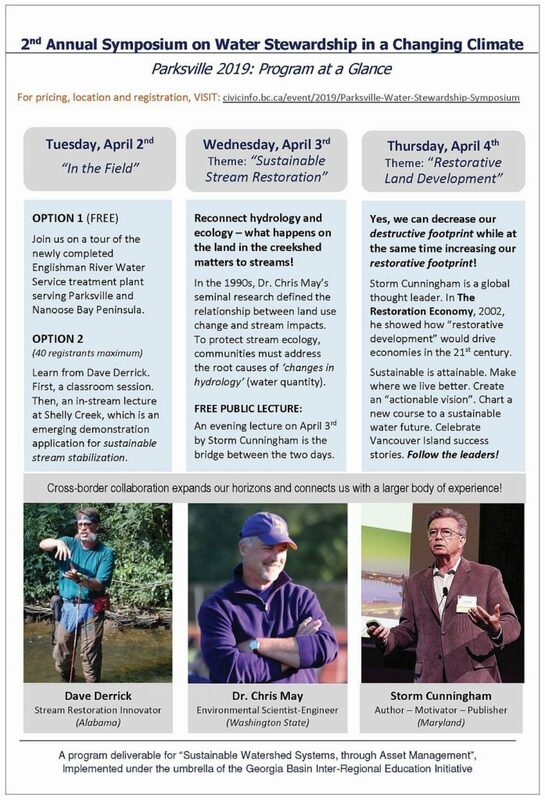 The daily symposium themes are Sustainable Stream Restoration (Day One) and Restorative Land Development (Day Two), respectively. Call to Action: Reconnect Hydrology and Ecology! While BC communities may not be able to restore lost biodiversity, they can certainly halt its decline and consciously direct efforts toward a richer future, that is: “make where we live better”. “The rhythms of water are changing in British Columbia. What happens on the land in the creekshed matters to streams – thus, the time has come to reconnect hydrology and ecology! 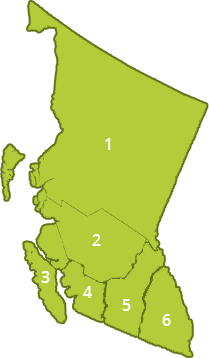 Join delegates from the east coast of Vancouver Island and beyond, and attend a ‘watershed moment’ in Parksville,” states John Finnie, Chair, Parksville 2019 Symposium Organizing Committee. To download a detailed yet streamlined version of the complete agenda for each day of the 2-day symposium, click on Program at Glance.